Taught to sew by her mother, at a very young age. Junior QuiltNSW member, Sofia Locke has enjoyed her creativity ever since. She now has an impressive number of awards for her quilts. Sofia is a creative and talented young quiltmaker, a real Shinning Light. 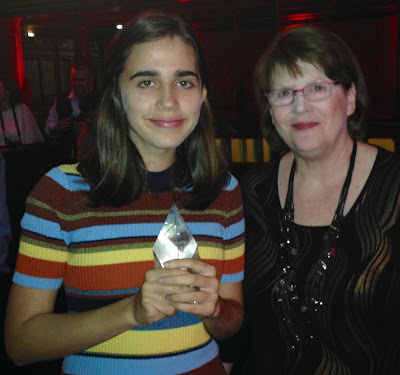 We were proud to nominate Sofia for the Shining Light Award, an Expertise Events Award that is presented to a talented young quilter each year at the prestigious Australasian Quilt Convention’s Gala Dinner. We are thrilled that Sofia was selected for the award this year. Congratulations Sofia. See the upcoming (May issue) of the Template for more of Sofia’s successes.